Medium 10T gusseted mushroom grow bags are perfect for when you need a bit more room then our small mushroom grow bags. Each bag measures 5" X 4" X 18" and are made out of 3 mil polypropylene. 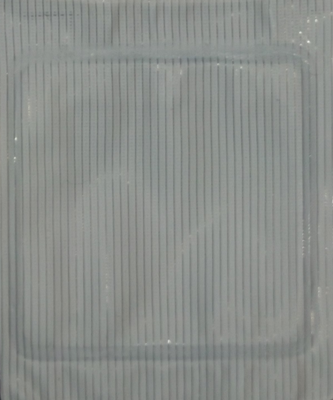 The filter on these bags are a .2 micron filter. Side-gusseted bags stand-up after filling and have a strong bottom seal. The bags are pliable at any temperature as well as after sterilization. The bag opening is designed for easy sealing and the bag's bottom seal can withstand agitation. Bag Size: 5" X 4 X 18"
Below is an example of a type T, 0.2 micron filter.